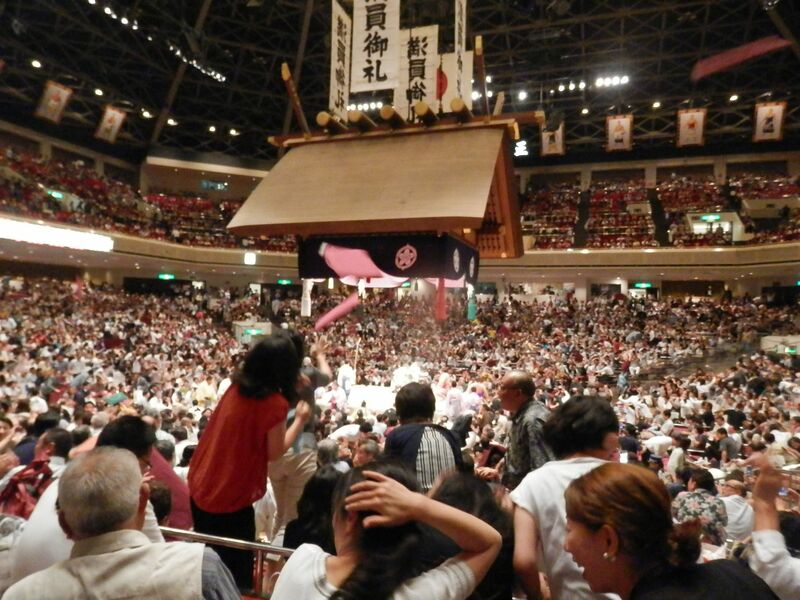 Last time, I reported how it looks at the entrance and inside Ryougoku Kokugikan. 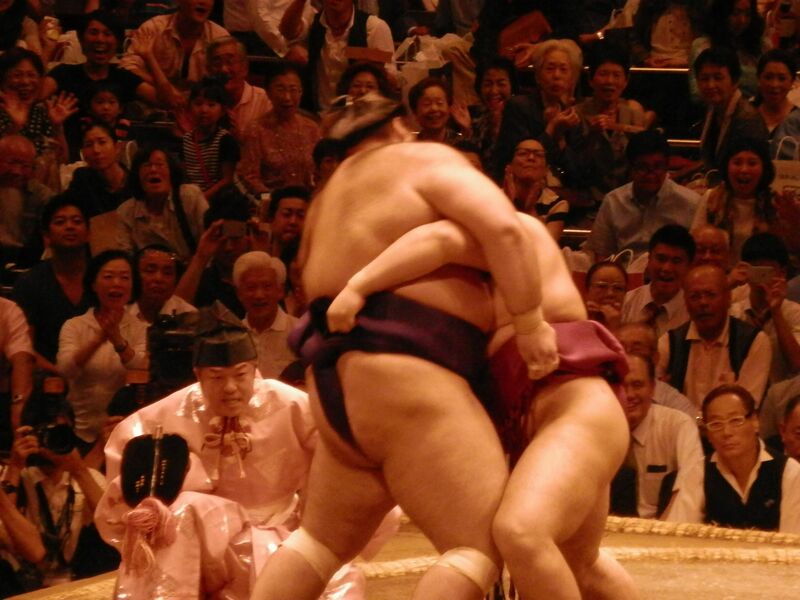 This time, I would like to introduce my impression about watching the tournament. 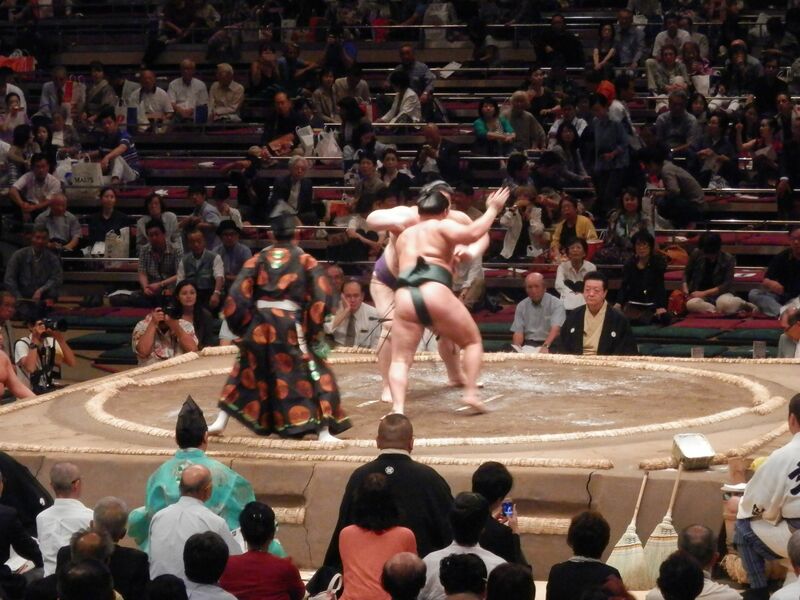 This time, we watched a Grand Sumo Tournament at Masu B seat for 4 people. 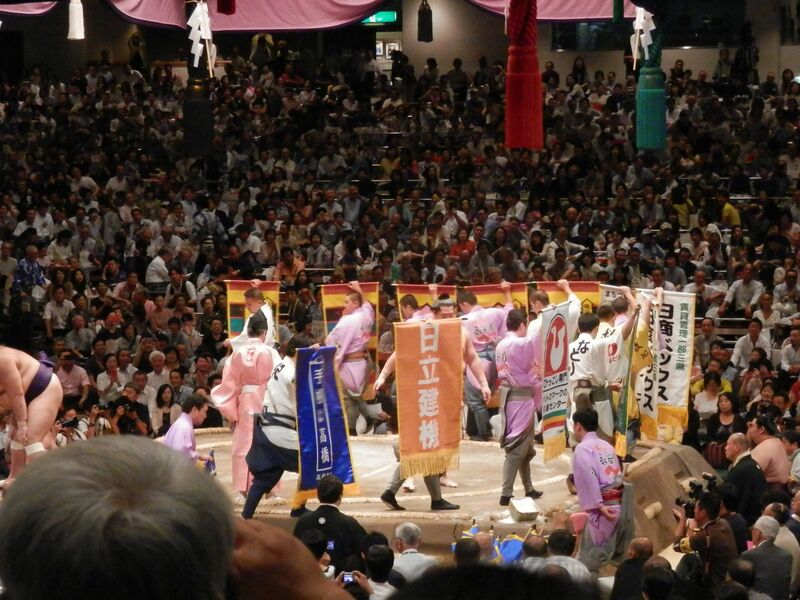 We started to watch with Makushita tournament. 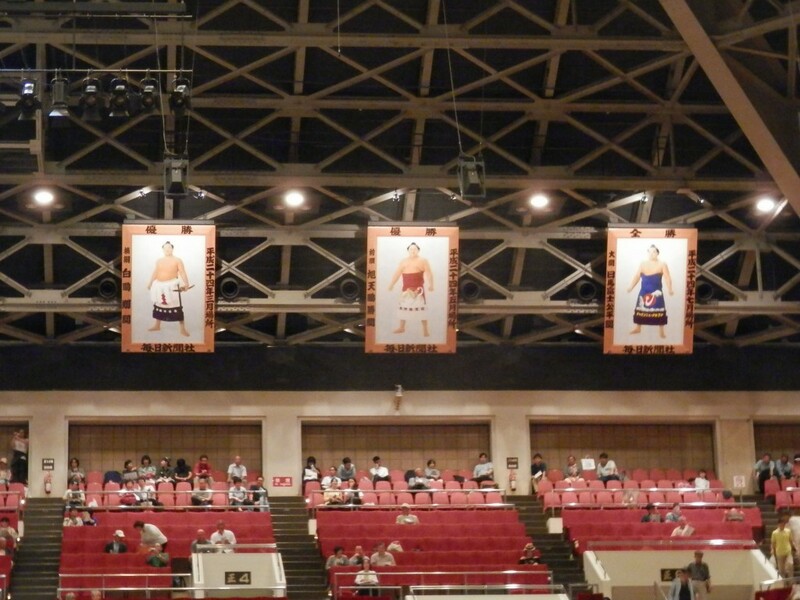 There were pictures of former champions. 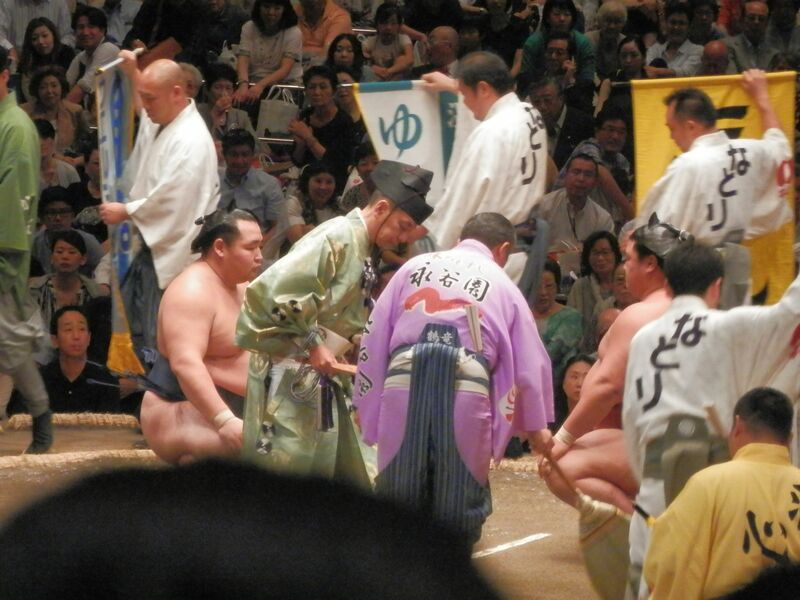 A lot of pictures of Hakuho, current Yokoduna, were there. 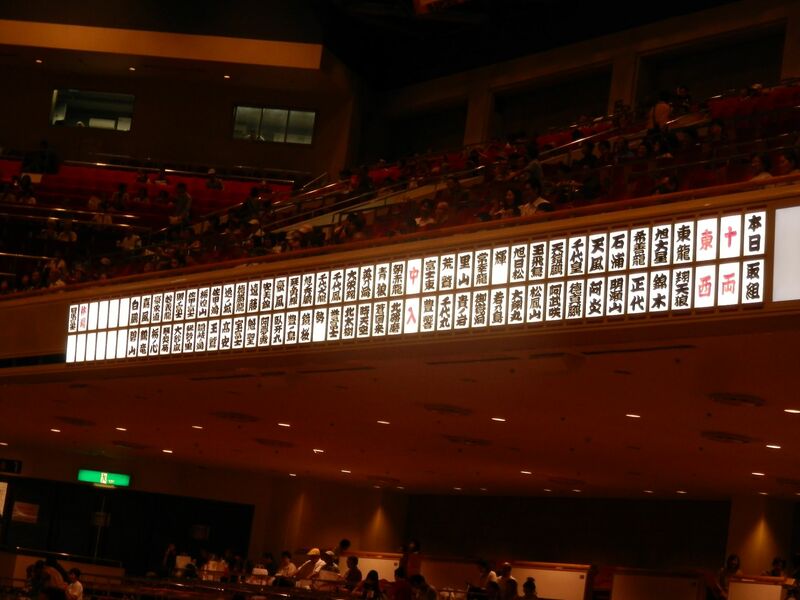 You can confirm the schedule of Makuuchi match on an electric scoreboard. Jyuryou match schedule can be confirmed by “Today’s match” which you can get in exchange for an entrance ticket. 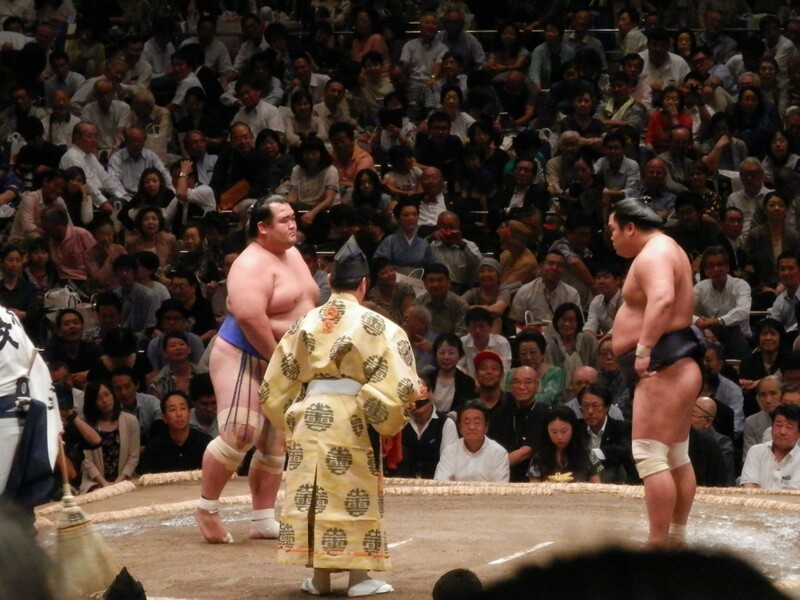 A sumo referee wear socks at Jyurou match but don’t wear them at Macushita match. Makuuch matches start after this ceremony. 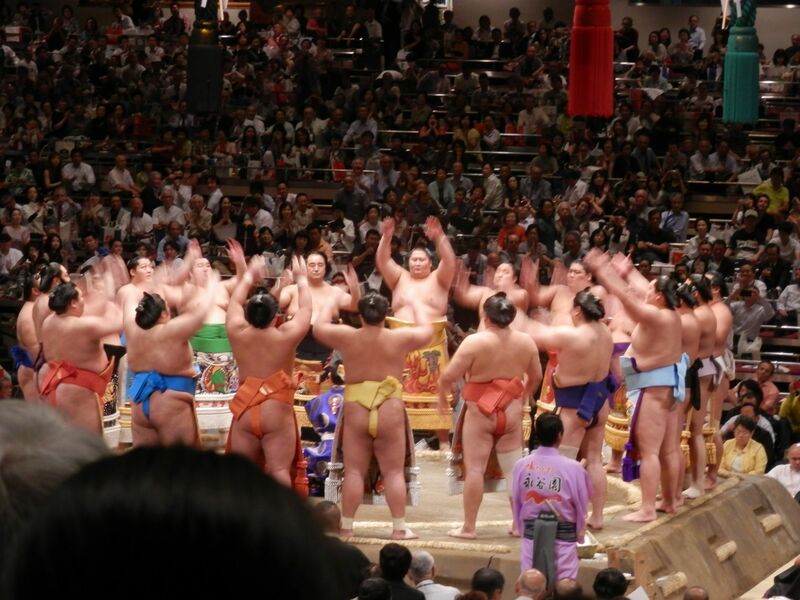 There is prize money for popular sumo wrestlers. 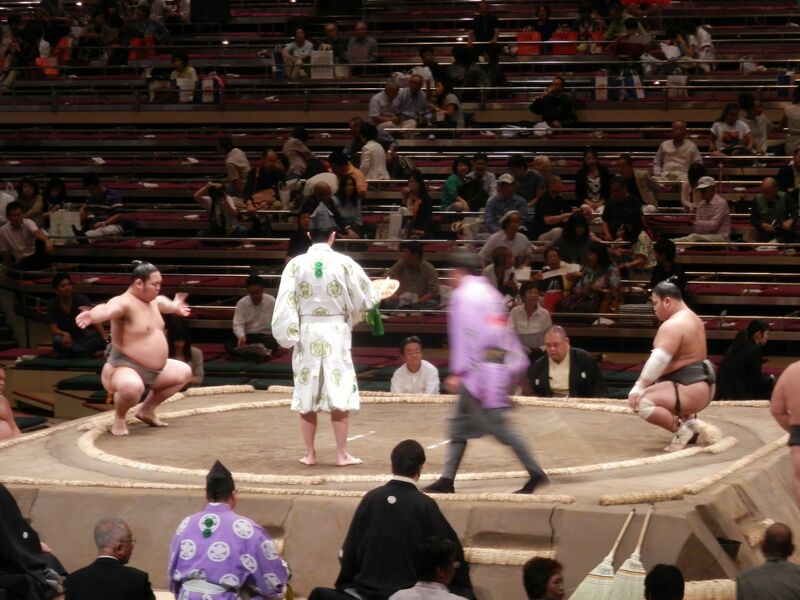 The winner of a match get all of them. 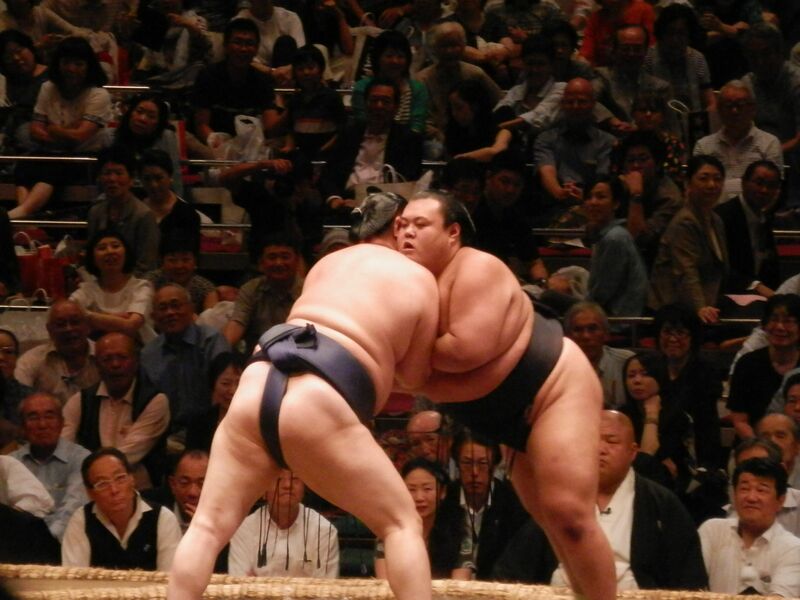 Today’s last match. 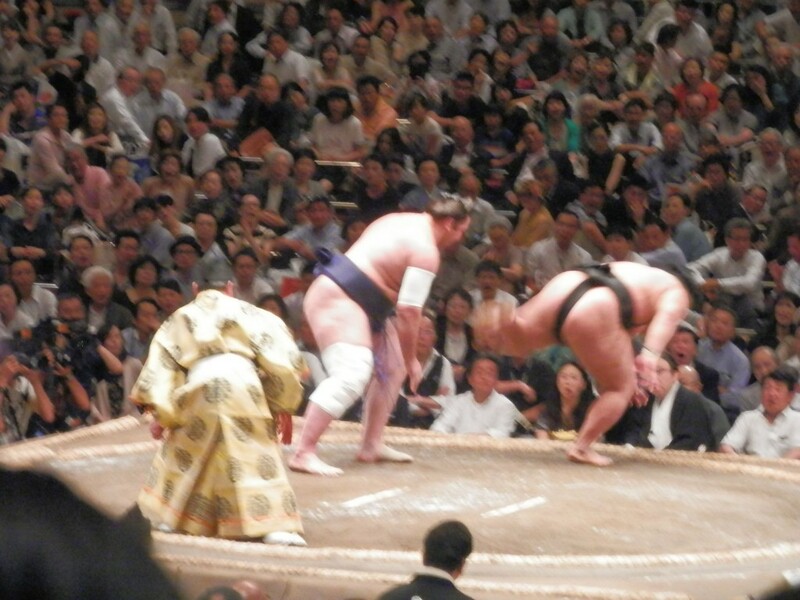 Kakuryu(Yokozuna) vs Yoshikaze(Maegashira). There are a lot of prize money. Both of them were charged up for the match. 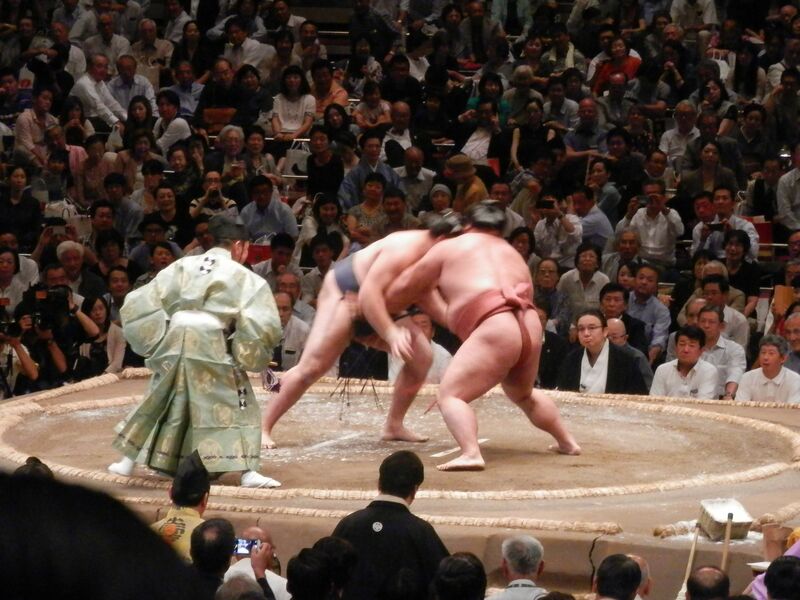 Kakuryu’s upset loss. 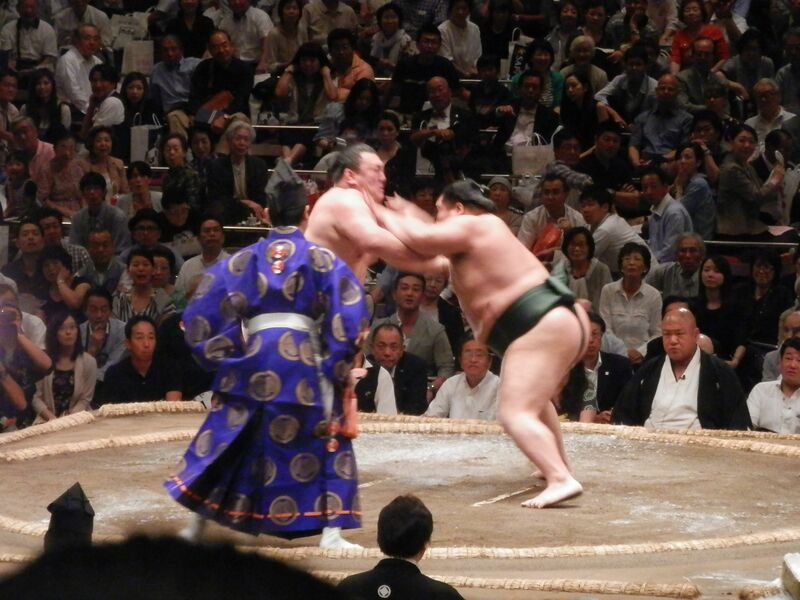 Yoshikaze won! 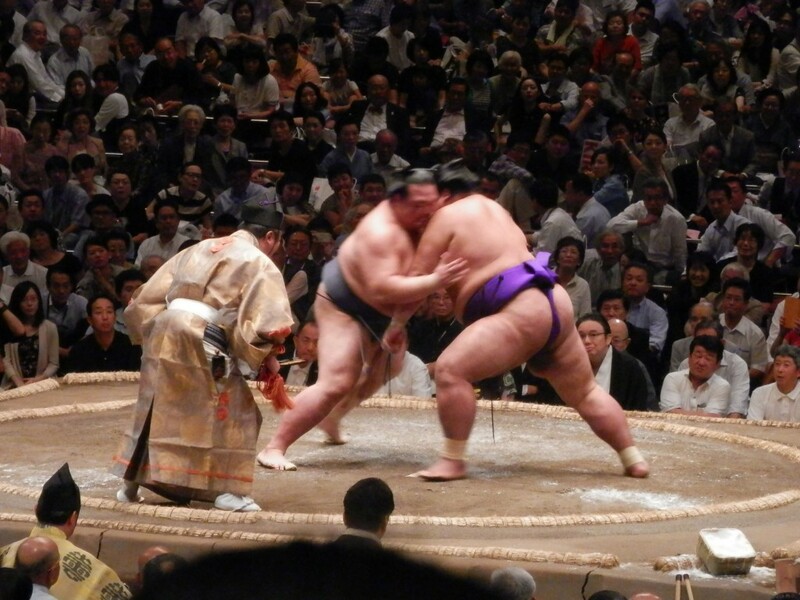 A lot of floor cushions were thrown, which happened when Yokozuna lost. 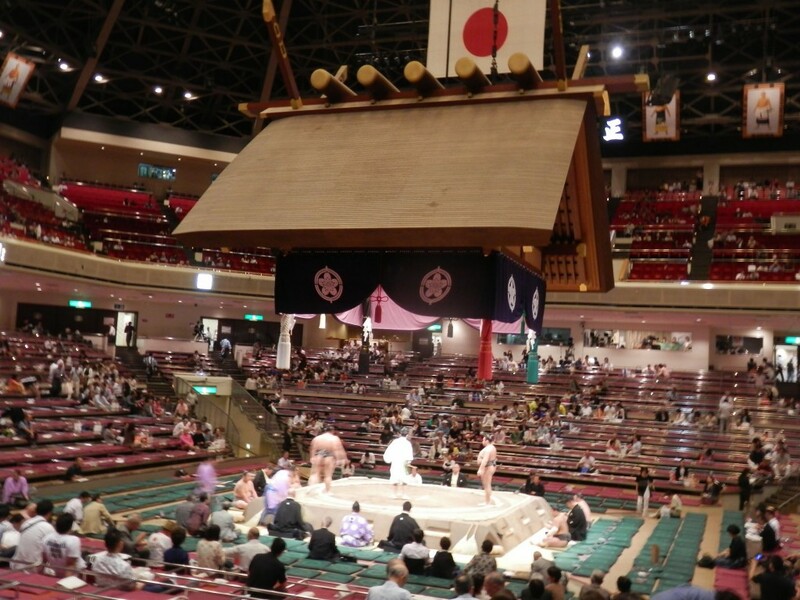 Yumitori ceremony is there after all matches are finished. 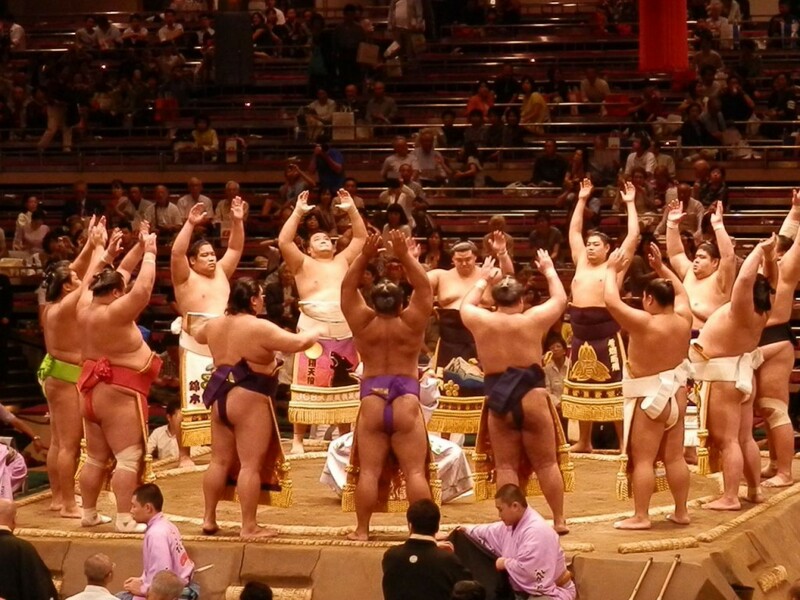 This was my first experience to watch a Grand Sumo Tournament. It was fun. 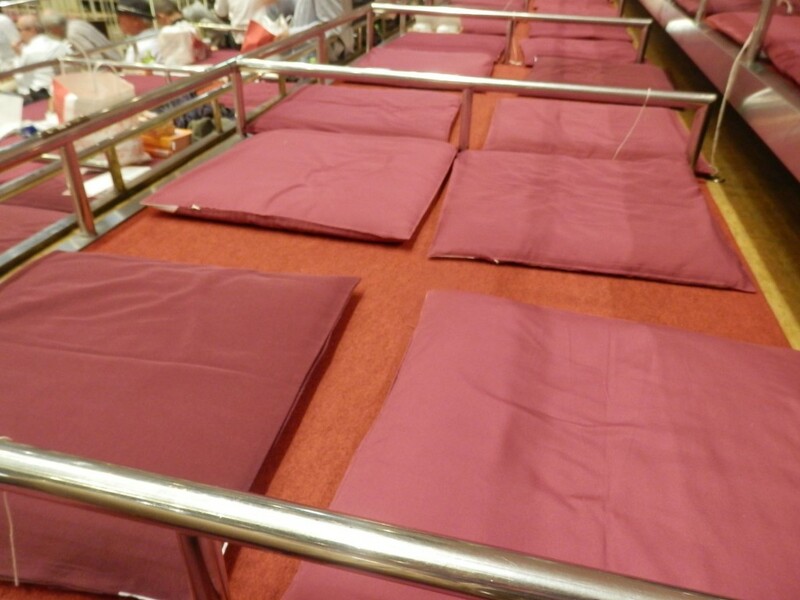 You can enjoy foods and drinks during tournaments. 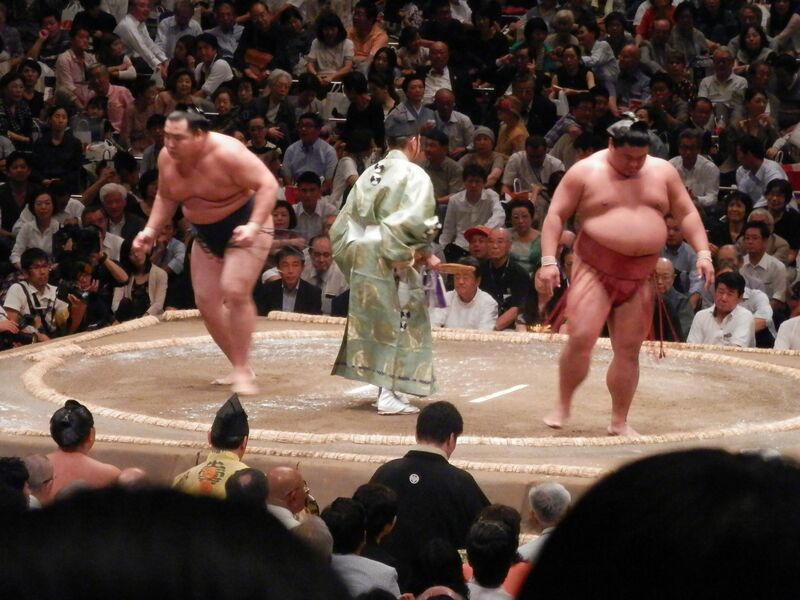 Moreover, it was really enjoyable to watch sumo tournaments. 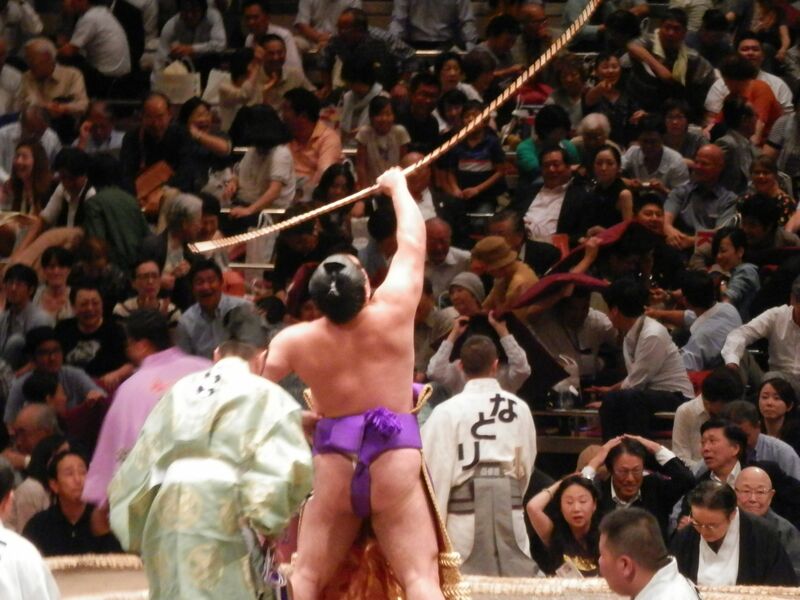 Please think over to include watching the sumo tournament in your Tokyo tour.